COLLINGWOOD, Hawthorn and Carlton all have three players each in the Team of the Week after their big wins on the weekend. 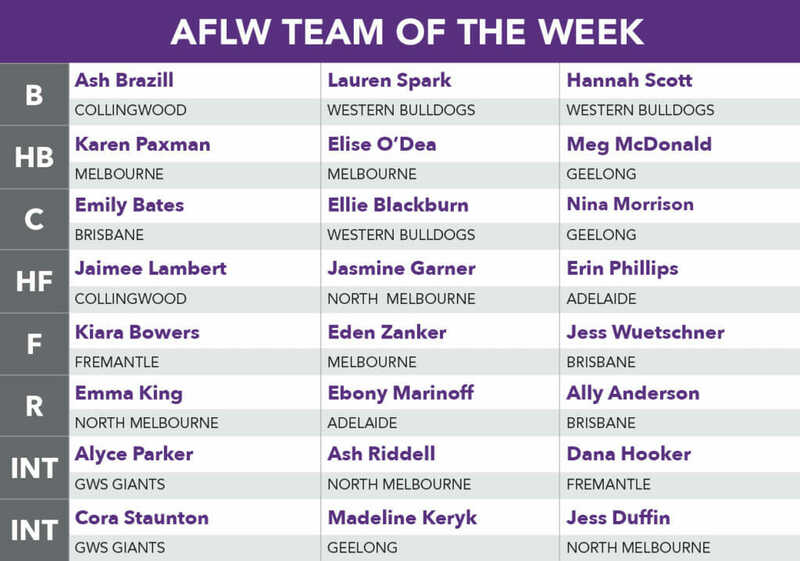 On the other hand, every loser from the weekend only has one player in this week’s best 22, headlined by Kelly Thompson making her debut in the line-up. The final home and away round gave fans plenty to smile about. Darcy Vescio kicking a season-high nine goals for Carlton to win the leading goal kicking award was a major highlight. 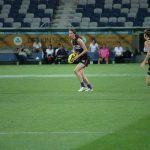 She cemented her spot in the full forward position after her dominant performance against the Bombers. 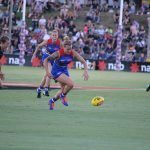 Hannah Scott was also tremendous for the Western Bulldogs, gathering 17 touches while pushing forward and kicking two goals, which proved pivotal in the Dogs’ four-point win over Darebin. 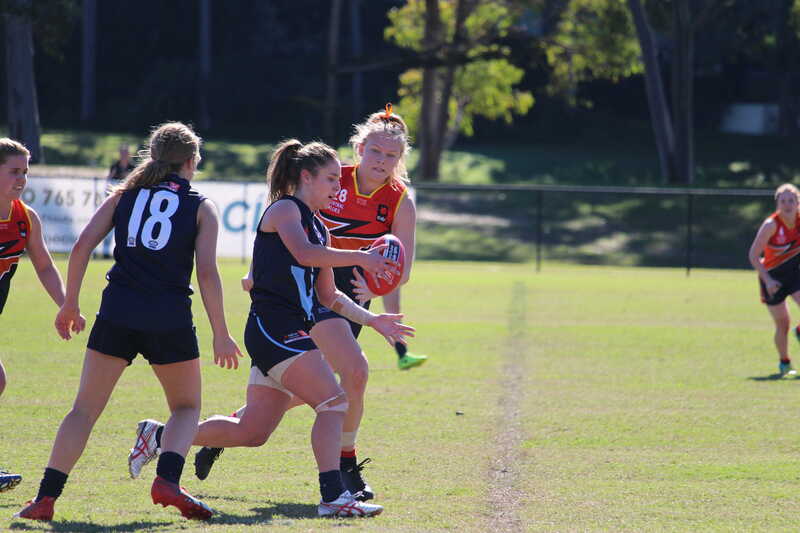 Gabriella Pound and Olivia Vesely both gained a spot in this week’s back line after both being instrumental in Carlton’s demolishing of Essendon. 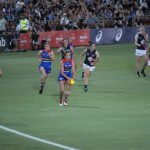 Bombers defender, Courtney Ugle has regained her spot after a two-week hiatus while Hawthorn’s Jayde Van Dyk is once again named at full back after a tidy match where she gathered 18 disposals. Madeline Keryk starts in the midfield this week after an impressive 24 touches and a goal. 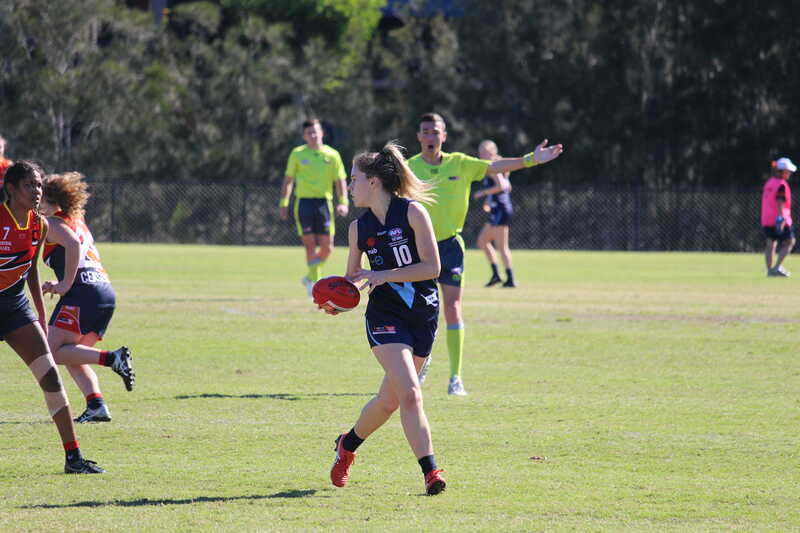 A pattern that this week’s midfield has is that all players got forward and delivered with important goals, highlighted by Collingwood’s Jaimee Lambert kicking three and Hannah Scott kicking two for the red, white and blue. 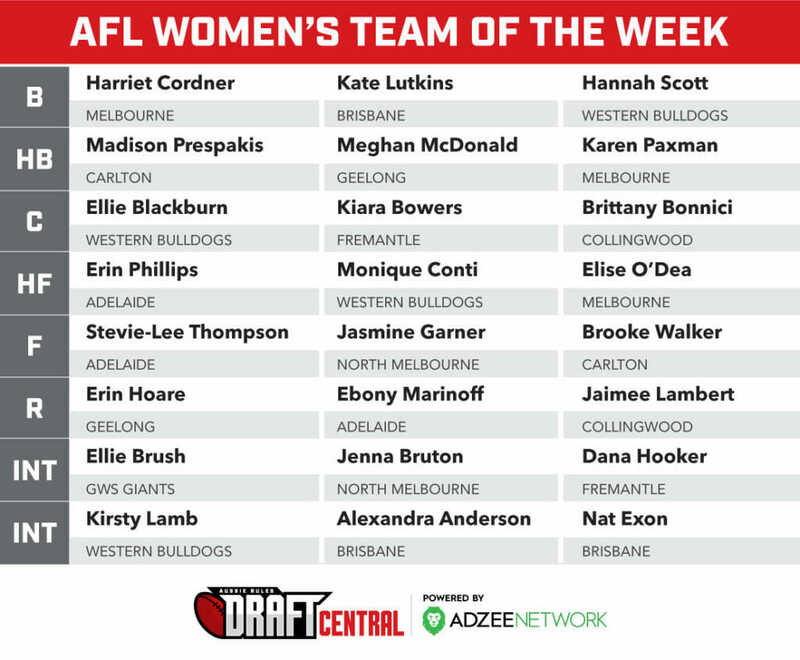 Key forwards, Sarah Perkins (Hawthorn) and Kate Dixon (Richmond) helped get their team over the line with two goals apiece, and therefore earned a spot in the best 22 this week. Williamstown pair, Jasmine Garner and Jess Duffin also made their way into the side thanks to their sublime performances. 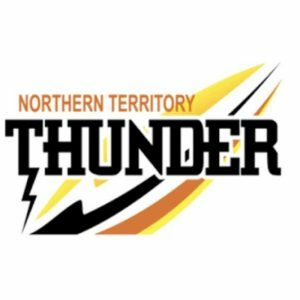 In a change, Duffin was sent forward and delivered, kicking three goals, while Garner was also important with two goals. 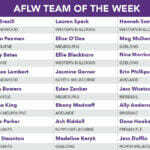 Round 16 was the final chance for some to gain a spot in the Team of the Week and there were many who staked their claim to come up short in the end. 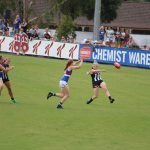 Collingwood’s Stacey Livingstone is one who is unlucky, as she kicked two goals from four scoring shots. 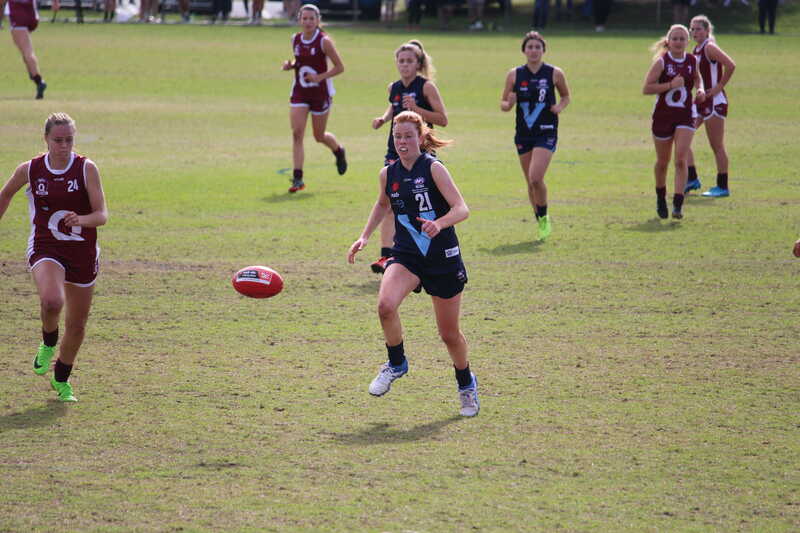 Richelle Cranston is in the same boat as she was vital for Geelong in the midfield, collecting 25 disposals.